StrategyDriven Contributors like Act Like a Sales Pro for its fresh approach to effective selling. Julie’s book engages the reader and translates for them the insights she’s gained from the acting world into that of the sales call. And her step-by-step exercises make these ‘acting behaviors’ immediately implementable by even those who don’t consider themselves to be good salespersons. What makes Act Like a Sales Pro truly different from other books on selling is its focus on personal behaviors. Other quality books focus on the process of selling whereas Julie’s book teaches readers the physical and verbal behaviors they should exhibit while executing the selling process. We put some of Julie’s recommendations to the test and found they did help secure a positive outcome. 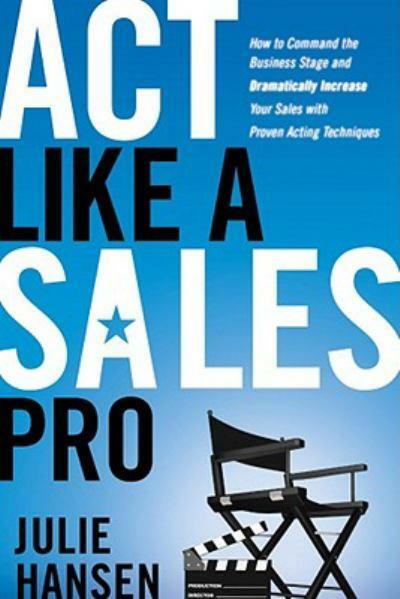 Act Like a Sales Pro effectively fills what is often a void in other sales books and training programs. Filled with immediately implementable recommendations and real world examples, Act Like a Sales Pro is a StrategyDriven recommended read. Complimenting Act Like a Sales Pro, StrategyDriven provides an abundance of information on the consultative selling process within the StrategyDriven Consultative Selling Knowledge Center.